SKRR-S Mini Tank from Vaporesso comes with the QF meshed coil. The meshed design creates intimate contact with the organic cotton wick for rapid and even heating and Insanely rich flavor. 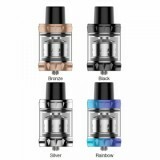 SKRR-S Mini Tank from Vaporesso comes with the QF meshed coil. The meshed design creates intimate contact with the organic cotton wick for rapid and even heating and Insanely rich flavor. 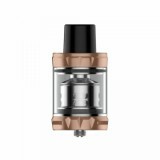 The SKRR-S Mini Tank has the unique flax fiber with cotton which is designed to offer high liquid absorption rate which allows increased flavor production. 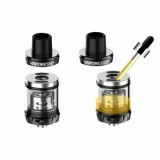 The Strongest Natural Fiber, therefore increasing the lifespan of the coil. We recommend you use this tank with the UXE Nano Mod, they'll be a perfect match. • You can buy the LUXE Nano Mod and LUXE Nano Kit in BuyBest. just buy the Vaporesso SKRR-S Mini Tank, hope i am the first one who bought it. then I WILL BE THE FIRST ONE TO GET IT, YEAH!